As the 5G network continues to be built, optimized, and, inevitably, commercialized, another technology is poised to benefit as a result — commercial robotics. In fact, shipments of 5G robots are expected to reach 570,000 by 2027, largely deployed in mission critical and business critical settings. Traditionally, high-speed broadband connectivity is only available to robotics systems in indoor environments via Wi-Fi and broadband fiber. Therefore, existing outdoor commercial and industrial robots are often fully autonomous devices with onboard intelligence. With 5G, robots’ capabilities will be upgraded. Existing onboard capabilities, such as object and people detection, path planning, and optimization can be shifted to the cloud to benefit from a larger set of data lake, At the same time, robotics systems will have access to capabilities that could not be previously hosted on existing systems. At present, remote control appears to be the focus, with Toyota’s T-HR3 and Naver’s AMBITEX, but the real game-changers will be conversational Artificial Intelligence (AI) and swarm intelligence. 5G’s low latency will enable robotics vendors to augment the onboard intelligence or even move parts of it to the cloud to introduce new capabilities to existing robotics hardware. 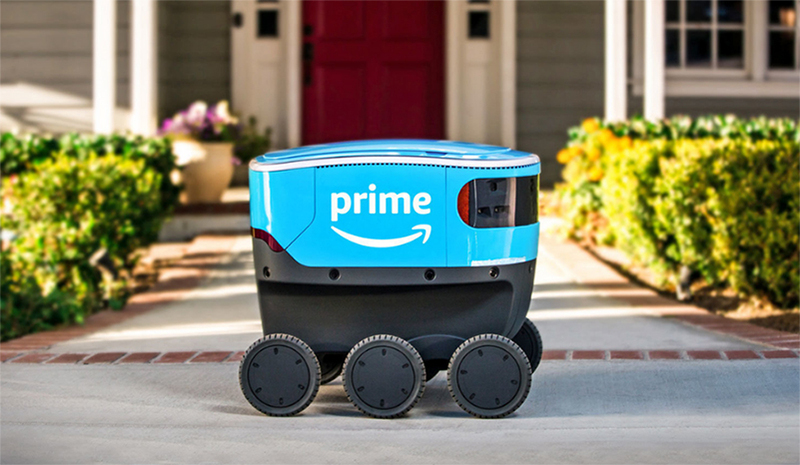 Enterprise users will be able to connect their fleet of outdoor robots to the cloud and enjoy the performance, scalability, and flexibility of the cloud-based intelligence. In order to enable 5G capabilities, robotics vendors must work closely with connectivity and chipset vendors in their design and prototyping phase to maximize the benefits of ubiquitous connectivity. Qualcomm has recently launched the Robotics RB3 Platform, powered by its Snapdragon 845 SoC with future 5G upgradability and Inseego has partnered with CloudMinds to provide 5G connectivity to the XR-1 Cloud Robot. By integrating Long-Term Evolution (LTE) and 5G connectivity from the onset, robotics vendors can provide a clear roadmap in terms of future upgrades. The clear connectivity roadmap will provide the industry guidance on the future capabilities that cellular connectivity can enable. This includes multi-access edge computing that provides computing, networking, and caching at the network edge and wide area machine-to-machine communication that facilitates situational awareness and information exchange between mobile robots, cloud platforms and surrounding infrastructure. In the long run, 5G will become the de facto connectivity method for outdoor robots. As a global standard, 5G enjoys economies of scale. This brings down the total cost of ownership of 5G networks and the price of 5G modem chipsets, allowing robotics developers to integrate 5G connectivity with ease. Want to find out more about how 5G will impact robotics? Order our comprehensive application analysis report, 5G for Critical Communications in Outdoor Robots.